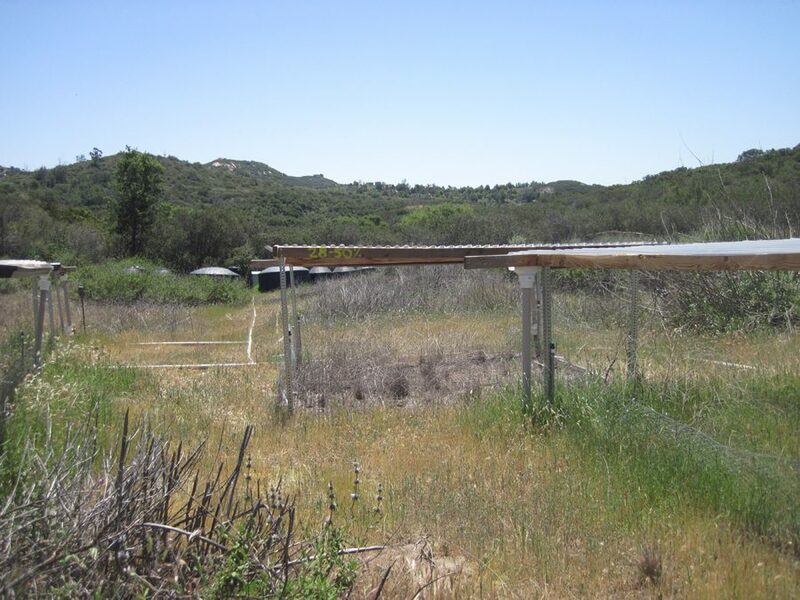 We recently completed an NSF-funded rainfall manipulation experiment at Santa Margarita Ecological Reserve. The experiment is investigation the interactive effects of plant functional type (native shrubs vs. exotic annual species) and altered rainfall. This is a collaboration with Dr. Elsa Cleland at UCSD. Our lab is focusing on belowground responses. Exotic annuals, such as the invasive grass, Bromus madritensis, and invasive forbs like Centaurea melitensis and Brassica nigra, alter the soil structure and microbial community, and increase the vulnerability of soil N and C pools to loss during large rain events.